A diminished party set out from Denethix, joined by a couple of new members - Reginald Wolfmother, a dandy who's tidy foppish ways would be his undoing, and Raymond (Series of strange numbers) Gamma, a young scientist and former student of the now deceased Dr. Jones. An ancient vault was opened: some of its secrets revealed, some of its inhabitants put to the torch and a modicum of loot extracted from its dusty chambers. Also we experienced the first death in the ASE campaign - senseless and avoidable, but exciting none the less. April 21, Year of the Feathers, 44 days after the beginning of the retreat. The Marine line was thin and weary, stretching across the forty foot companionway, with only ten marines worthy of being called active. 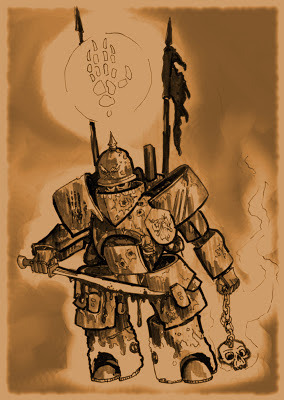 Seven walking wounded made up the rear line, and only Hereditary Corporal Penthurst wore powered armor, his shrapnel cannon the unit's only fire support. 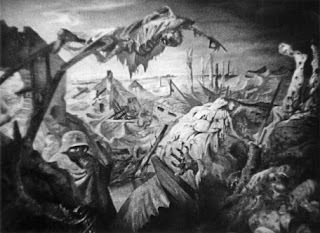 That they would hold anchoring the sixty odd civilian militia behind them, was the best chance of stopping the advance of plague King Macheath and his legions of the steerage dead. Penthurst also had a squad of frogling hunters in reserve, worthless in his estimation, led by one of their witch doctors - a grey hunched thing in robes who lorded her authority over the rest of her people with obscure croaking threats. As pitiful as these forces were they were all that remained between the overrun factory decks and the desperate efforts of the Steward's second corps to create a defensible bulwark sternward. What 10 plus sessions of ODD will make of a character. 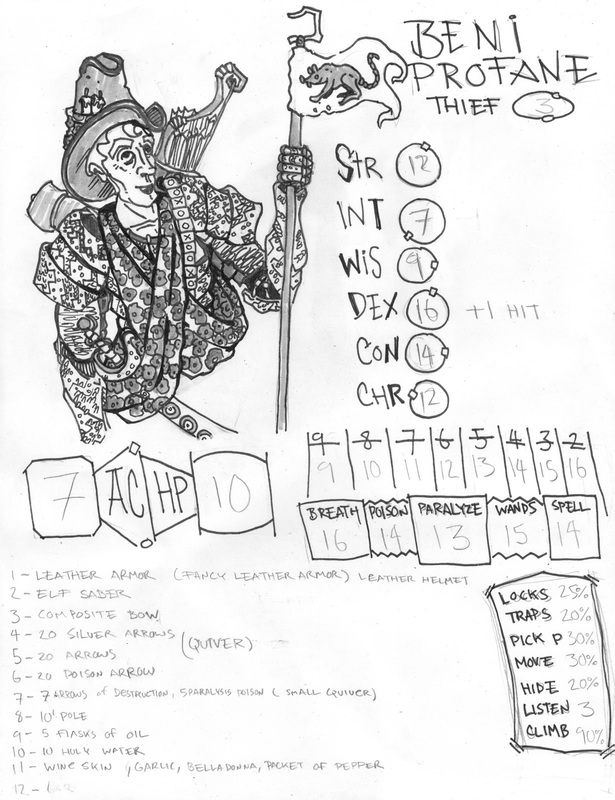 Below is the updated character sheet for Beni Profane - rat catcher, thief, poison arrow user. Beni Profane - "Rat Catcher"
Beni is now 3rd level and he and his loyal dog continue to plunder the vaults of Pahvelorn. He's fulfilled a geas to his not quite diety the six armed rodent The Mother of Thousands and managed to have a suit of shockingly tasteless and gaudy white leather armor made from the skin of a giant snake slain beneath a demon infested manor house buried in the vaults. Beni recently learned that he should stay out of melee, even though he has a slightly magical saber made of elf metal he purchased from a Sarin. Beni is starting to form a smuggling route from the city of the Priest King, Illum Zugot to Zorptah, his adopted home town. Beni's dog Treacle has not only survived but been instrumental in the party's survival on several occasions. 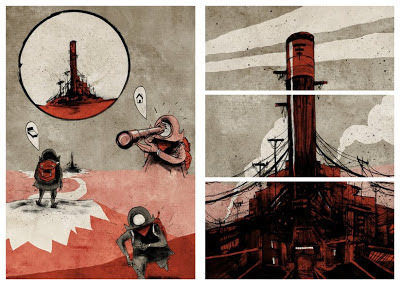 The holidays bring plundering one's parent's basement for curios and curiosities. 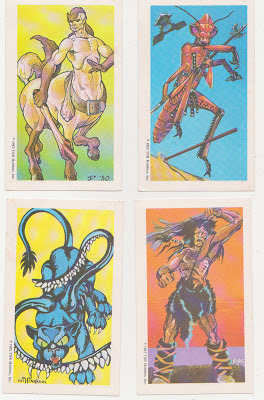 I discovered three partial sets (Series I, II and maybe VI) of TSR's 1982 Monster Cards the other week. These things were a strange play aid published during the bloated yet still magnificent early 80's days of TSR when D&D was really popular. Each Deck consisted of 30 cards, about the size of an index card. On the front was an image of a monster from one of the various monster books done in full color by various artists, and on the back was the stat-block of the monster depeicted on the front. The monsters are all over the place, from goblins to Fiend Folio curiosities. There were even some new monsters including the first appearance of the Thri-Kreen insect man. The heaviest armor aboard the HMS Appolyon is not the ornate, custom fitted steel plate armor of accomplished Passenger Class warrior fops, but rather rare suits of powered armor. While the best known of these machines are the handful of elegant Boarding Suits in possession of the Marines, ancient bone white armors, with elongated limbs and twisting rounded surfaces now much repaired and rarely seen, powered armor suits are still being manufactured using the limited mechanical and magical resources of Sterntown. Boilermail ranges from light exoskeletal suits that offer protection little better than plate mail, but dramatically increase the wearer's strength (allowing the mounting of heavier weapon or increasing melee damage) to fully enclosed heavy suits that can mount cannons and wield swords and axes weighing a few hundred pounds, often augmented with hydraulic penetration aids or voltaic generators that release a deadly charge on impact. One step up from the zombie mass, Gun Wights are shambling undead things that act as soldiers for the War Dead. They attack either mixed in with large packs of zombies, or in small fire platoons. 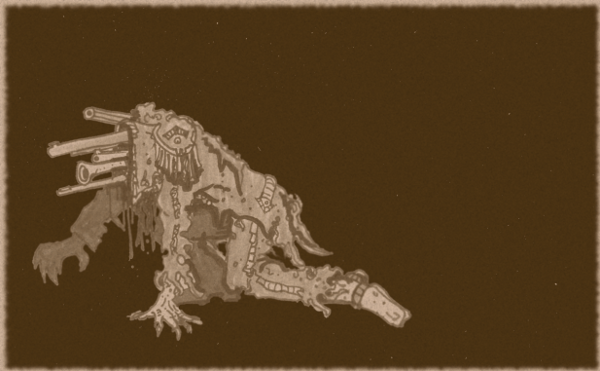 Universally these undead rise form the corpses of soldiers who died to firearms or artillery. Their bodies are ripped by horrible wounds and all lack a head. In the place of their skulls Gun Wights have a cluster of several firearms, or just the barrels, jammed into the mangled rotting flesh of thier shoulders or otherwise affixed as a gruesome prosthesis. These guns are rusted and even bent, but still fire bursts of necroticizing energy that act mechanically like normal bullets. The largest Gun Wights have sometimes been reported as having light machine guns or small cannon as strange prosthesis, but most have only a cluster of pistols, rifles and shotguns. Not the smartest undead, Gun Wights also are less perceptive than most of their compatriots. They will be surprised on a 3 in 6 and act last on the first round of combat unless accompanied by more lively undead who can direct and encourage them. Gun Wights are undead and so immune to Sleep, Charm and other mind effecting spells. Additionally, as Wights, they take 1/2 damage from normal weapons and full damage from silver or magical weapons. Gun Wights use the weapons mounted on their neck stumps to attack from range. These are generally treated and a bolt action rifle with two shots a round, each doing 2D6 with any 6 'exploding' for another D6 of damage. In melee combat they attack with ragged claws as a wight, for 1D6 + level drain. When as glowing ashes of the cities fell in a silent blanket they quaked in fear beneath the earth. The lucky ones. As the frost and storm raged across the land for a century, they ate and slumbered in plenty beneath the earth. The lucky ones. 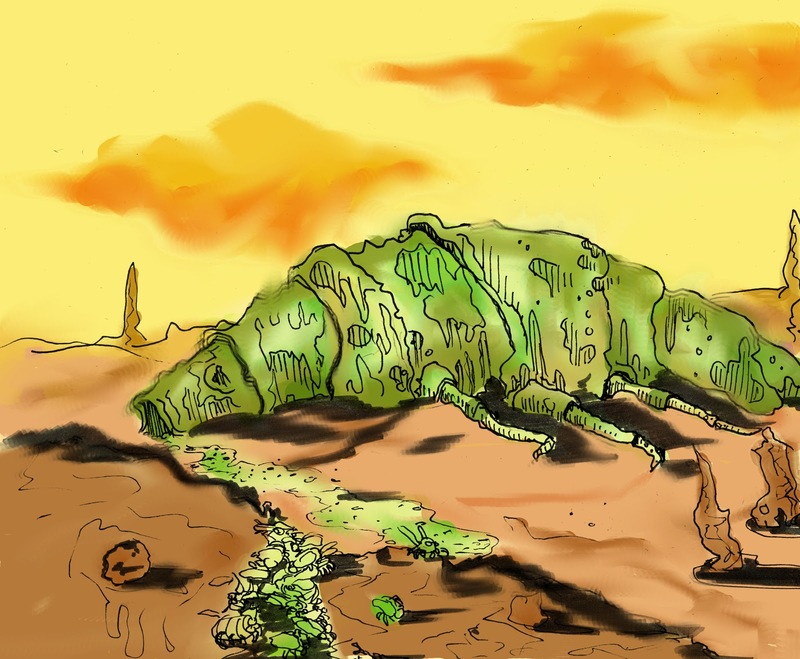 As the surface bloomed again, the tentative shapes of grasses, plants and fauna, forever warped by the hand of the final war, they husbanded carefully their stores and overworked greenhouses beneath the earth. The lucky ones. As civilizations of man and beast grew in bronze, bone and cyclopean obsidian above, they watched their machines wind down and screamed in the dark for release, thin and cannibal. The lucky ones. As man stumbling, learned sorcery, the practical arts and war again under the weak sun, the ancient seals creaked open and strange survivors of the ancient science men poured blinking into a world that had forgotten them. The lucky ones. When the ancient wizards warred and the world was destroyed, some of the wizard's followers fled beneath the earth, and a few have endured since, in warrens and bunkers slowly crumbling to dust. These vaults open from time to time as their seals fail or mad computer overlords decide that the surface is again safe for life. It has been so long though, much longer than the first vault people could ever imagine. A map I drew tonight while play a nice game of Stars Without Numbers GM'd by ApisFurioso from Pilgrims Guide to to Zeitgeist. (Who is perhaps even more of a fan of ASE than I and has managed to use it in his home space D&D game already...). Stars Without Numbers also seems an excellent version of B/X D&D in space - totally able to cross genres. Here is the "Undershrine of The Rat Mother"
It's pretty linear - but I like the map. So, Patrick Wetmore over at Henchmanabuse has release the second session of ASE. 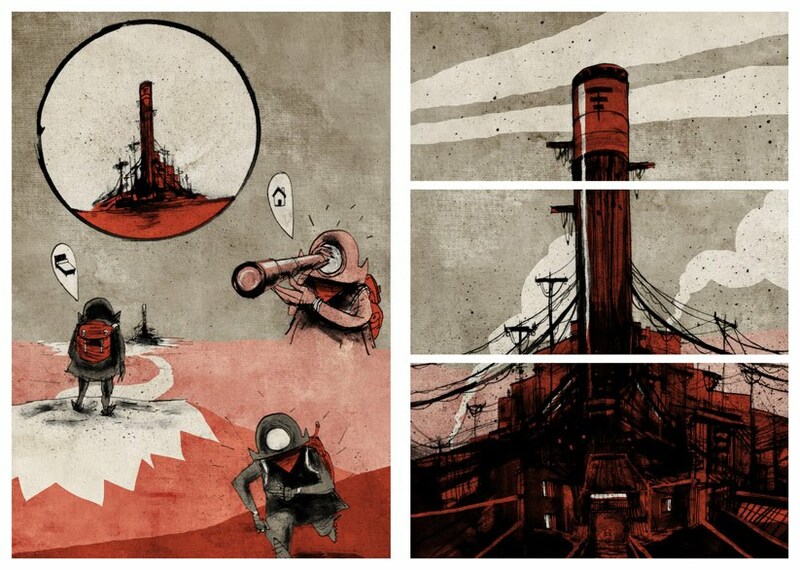 I've thoroughly read a pre-publication copy as I made some of the art for the adventure, and this review is based on that. This is not a critical review, it really isn't, not only was I tangentially involved in the second book, but it's the project that got me back into gaming and has inspired at least 1/2 of the content on this blog. Dungeon Design and Stocking - with examples! Recently there was some discussion on Google+ about dungeon design, and if it's possible to teach better dungeon design. I frankly don't know, but it got me thinking about how I design dungeons vs. how I know others who I think are good GMs design dungeons. 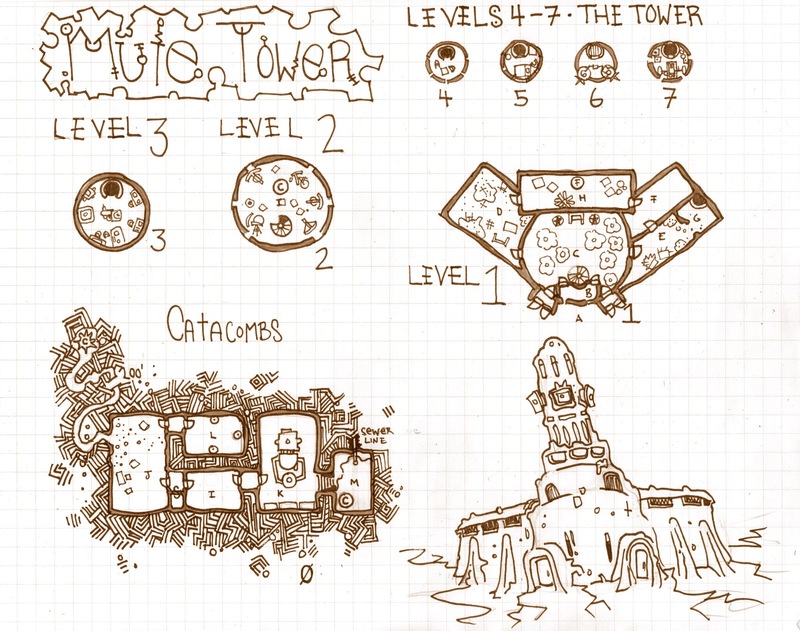 Below is a glimpse of my method- with illustrations from the Mute Tower, which I finished running last week, and which presents a simple dungeon that was perhaps a bit the railroad because it exists only for the purpose of finding a map and some radioactive pebbles to get a party into ASE. 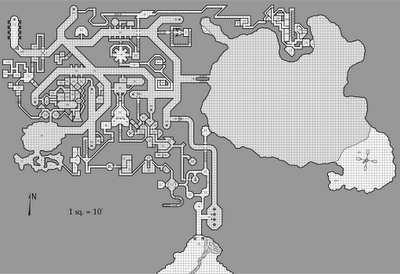 Now I design my dungeons "organically" or "naturalistically". I rarely use random tables, and I try to stock them in a way that makes sense. This creates it's own issues, but I feel it works well to build an interesting and alive feeling adventuring environment. The Laughing Boy is an 11th Level LOTFP fighter I'll be using in a one shot. 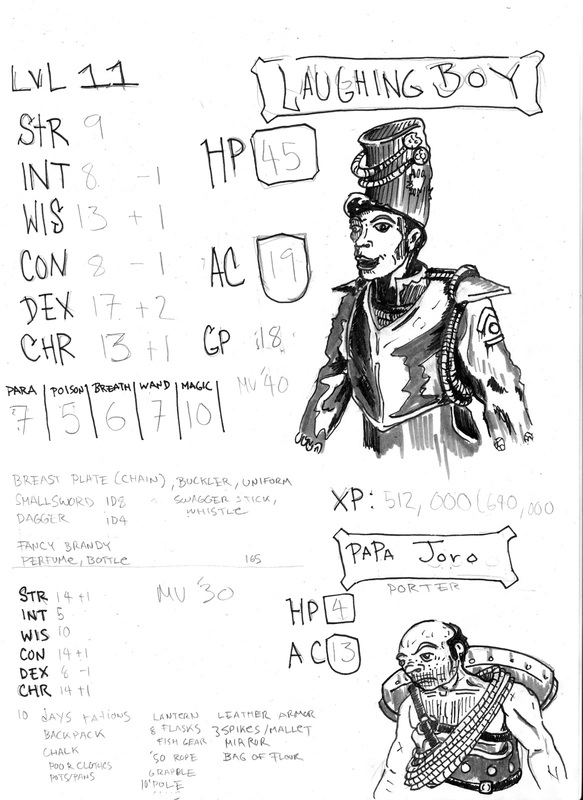 He is completely random, with a random appearance (Male, Child, Beautiful, Wearing Uniform) and 3D6 in order stats (which turned out good). This random appearance roll though created the creepiest PC I've played in a long time. Just finished running this for the Google+ ASE group, it took three session, but I think it was fun. As a dungeon I designed it to be introductory with a little bit of everything, and a fair number of odd things to play with. The party managed to circumvent most to the death traps and didn't lose anyone, though there were two saves vs. death and on near TPK (Well it would have resulted in capture and enslavement by Johnny Two-Bad - reanimated pugilist/Wizard). A waste of cracked earth expands for almost a half mile around the Mute Tower, an ancient construction of cherry red ceramic fused adobe marring the plains several miles East of Marsten. 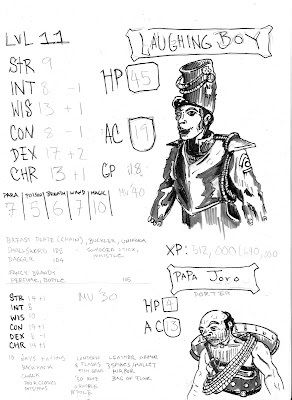 The tower has been home to many strange denizens in the eons it's stood, most recently the two-headed mutant wizard "Johnny Two-Bad" who once terrorized Marsten with his madness and displays of strength. Thirty years ago, as Denethix consolidated its control of the surrounding area and battalion of the Unyielding Fist, led by Captain Tyrno himself besieged the tower and put its inhabitants to the sword. While Marsten has since bloomed into a bustling cattle town, the tower remains, an almost forgotten oddity. Only a few souls have ventured to explore the place, due to its bad reputation and the general belief that the place was looted out by the victorious army when Johnny Two-Bad was put down. 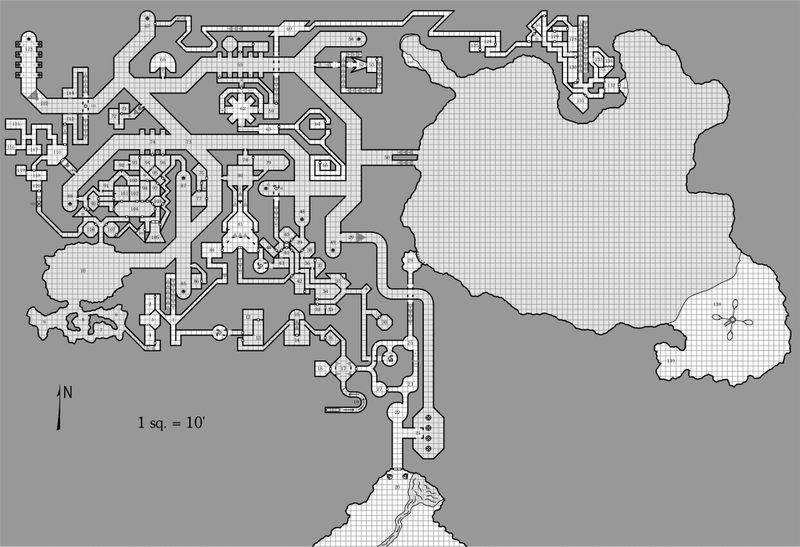 Recently a small expedition from the Temple of Science asked directions to the Mute Tower, and headed off towards it laden with a fancy assortment of supplies. They haven't returned, and it's a well known fact the the Temple of Science is wealthy enough to pay ransoms and rewards for those who return, save or hold its Scientists. The Dungeon itself had only a few monsters, and most were reskinned standard creatures - I got to use carrion crawlers without anyone realizing what they were until two party members were already paralyzed. The party even bought barrels of salt to throw at the creatures because they were some kind of horrible slug creatures. I think this shows the usefulness of gonzo, at shuffling about the cliches and tropes of D&D play and allowing wonder or something like it back into the game. Random thoughts on D&D combat systems and how combat style has serious and possibly unintuitive effects on game-play. Now to my mind combat is an integral component of classic table top RPG play. War game roots, conflict requiring randomized resolution, immediately recognizable as risky, fulfills male power fantasies common among gamer types etc. Of course there's the question of what kind of combat one might have? I am by inclination and lack of newer gameplay pretty stalwart in my devotion to B/X ODD OSR combat and gameplay, so I am not really talking about other editions or systems here (like story games of the tactical focus I hear is part of 3.5E on). Yet, within even simple (and deemed by some to be deadly boring) B/X style fights there's a lot of house rules and variations that effect play. In order to make them work it seems one has to figure out what one wants. Anomalous Subsurface Environment Session II - Two Bad for You! Anomalous Subsurface Environment Session II -Two Bad for You! 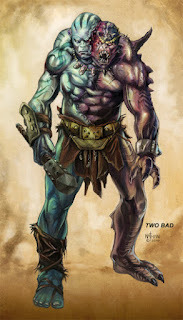 Nathan Rosario draws He Man Villains. Pahvelorn - Session XIII - Rats! Feeling like they'd accomplished a lot, and that the upper level of Pahvelorn's buried city might be pretty much looted out, Beni Profane (Rat Catcher), Higgins Dreadmire (Warlock), Tarvis (Priest) and Sarin (Priest) decided to take themselves and their henchmen to the corrupted shrine in Pahvelorn's abandoned districts. The "shrine" is a tower edifice, more a cathedral than anything with such a humble name should possess, but it is undoubtedly corrupted. Last time the party ventured into the shrine, it was a near thing - zombies, flying imps and giant lizards all took a piece out of the adventurers before they encountered a pack of undead smoke creatures that very nearly wiped the party out. 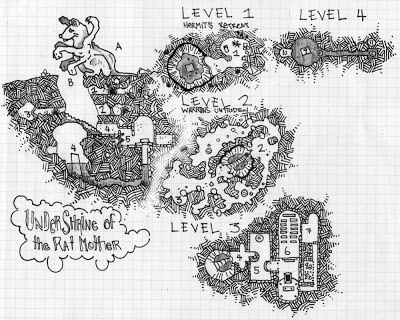 An ancient complex in cyclopean stone haunted by uplifted apes, and other fell beasts ... or a really classic feeling adventure with a hint of the strange. 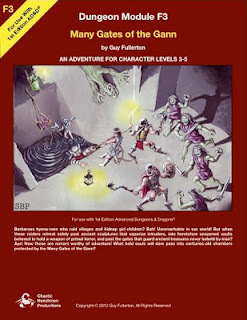 As any reader of this blog must realize, I am rather fond of a bit of silly in my D&D. Pure Tolkienesque mock seriousness with every elf a wise-eyed noble stoically forging on under the weight of an eon of sadness and an unfortunate name like "Glintiever the Unsullied" makes me feel like making trouble as a PC and makes me feel like a complete jerk as a GM. Equally I can't really embrace the Warhammer style vikings, chaos and scumbags approach, I lack the cruelty to make every tussle with street urchins a life and death situation and don't enjoy properly modelling wound fevers. 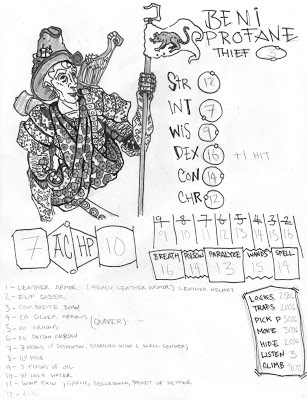 This means I mostly enjoy a bit of the strange light hearted sentiment known among the OSR as gonzo (though most D&D games seem to have an element of Hunter S. Thompson's greatest scraps in them). 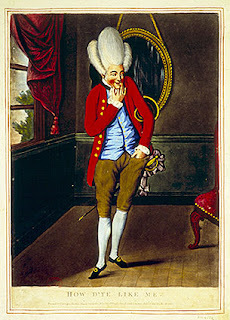 Gates of Gann is billed as such, and contains a fair bit of fun and weird ideas. It feels less of an homage and pastiche of 80's Sword & Sorcery cartoons/media than ASE, which I've seen it compared to, and more of a flavor like a Kull or Conan story. This is a good thing, a different authorial voice that still allows for legions of white apes (the two armed kind) with gemstones implanted in their skulls. Finally got to run something again, though once again a one shot aboard the HMS Apollyon turned into negotiation and cocktails with the forces of (very lawful and indolent) evil rather than the punch fest I'd got planed. It was one of the more seat of my pants sessions that I've run, and hopefully it turned out well. I got to spring the Apollyon's version of displacer beasts on the party, which was fun - and they encountered what is Deck 9's "safe" area. I think I managed to make it tense and creepy. Deep in the badlands of the Certopsian Plains it is not uncommon to find strange remnants of ancient times. Tempus Gelidum takes place in one such location, an ancient train station, now buried beneath the cracked earth, except for it's clock tower, which acts as the roost for a terrible creature and her minions. The clock tower is home to Sthaleno, a winged gorgon, of rust and pitted iron who finds the tower's similar black metal construction the perfect perch from which to hunt. Around the tower statutes of rusted iron provide a clue to the great gorgon's presence, though travelers and adventurers are a curious lot, and tend to investigate rather than flee. Stahleno herself is an ancient creature, perhaps not as old as the tower, but older than a thousand years. Her body is made of thick iron plates, streaked with rust, but still incredibly strong and resilient, a combination of the mechanical and magical arts. Unlike most gorgons, Stahleno does not have a bull's head, but bears the face of a beautiful woman, made from living porcelain, with black iron eyes. Stahleno's breath is a noxious cloud of rust colored smoke that transforms those caught in it into iron statues, which she places at the base of her tower to savor the last reverberations of their hopelessness and fear. Indeed, Stahleno lives off of the fear, terror and despair of mortals and will play with her victims to heighten these emotions. In addition to her own considerable powers Stahleno has been able to reanimate some of her victims by returning a small portion of their life force, creating several iron servitors that act to protect her lair and the various treasures she has scavenged. Millicent Cobweb, sailor on the seas of mortality, psychopomp to the unready, and late of the Rathouse, Thistledown, Wampus County crept slowly along a rough shale corridor, beyond the shimmering curtain of worlds and theoretically beneath the shattered ruins of Crumbledown in search of her lost benefactor and former employer, Chauncy Woolstrike, self-styled Warlock of Thistledown. Woolstrike had vanished several months before, sucked into a void created when he drew from a magical deck of cards and the Rat House Bastards gentleman's society had been searching for him haphazardly since.. The Structure - Pretty Carcosa or "Needs More Purple?"